The best way to increase your client’s home value is by conducting remodeling projects. One spot that benefits from remodeling construction is the restroom. Whether you remodel the guest or master bathroom, the value of a home increases. If your client would like a bathroom remodel, ProSource® of North Orange County has a large selection to choose from. Not only will our showroom be able to provide high-quality products at great prices, but we can also offer advice on certain projects, if need be. Bathroom sinks elevate the design of any bathroom. If your client wants to remodel their bathroom, ProSource of North Orange County can help! Our selection of bathroom materials is wide-ranging and can offer insight on the latest trends in bathroom remodeling. 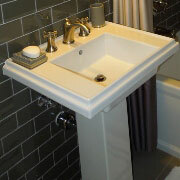 Bathroom sink faucets are an excellent feature to tie in style and color into bathroom design. For example, a faucet can be designed simply or extravagantly. 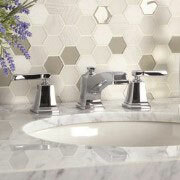 Also, a faucet can incorporate metals into the bathroom, such as gold or silver. A shower after a long day is always appreciated. If your client wishes to step up their showering experience, our showrooms are the place to go. We have dozens of shower remodeling items and plenty of displays to browse from. 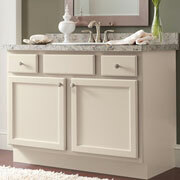 Vanities are an excellent way to optimize your storage space in your client’s bathroom. If you would like to add a vanity, ProSource of North Orange County has plenty to choose from. 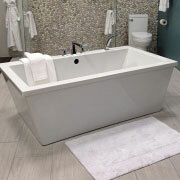 A bathtub can be your client’s sanctuary, which stands to reason that you would try to get the best brands available. At ProSource Wholesale Showrooms, we only carry the very best in brands and products. Stop by today. When remodeling, the best item to upgrade is the toilet. 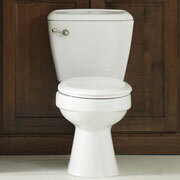 At ProSource of North Orange County, we have plenty of toilets to choose from, ranging in color, style, and size.